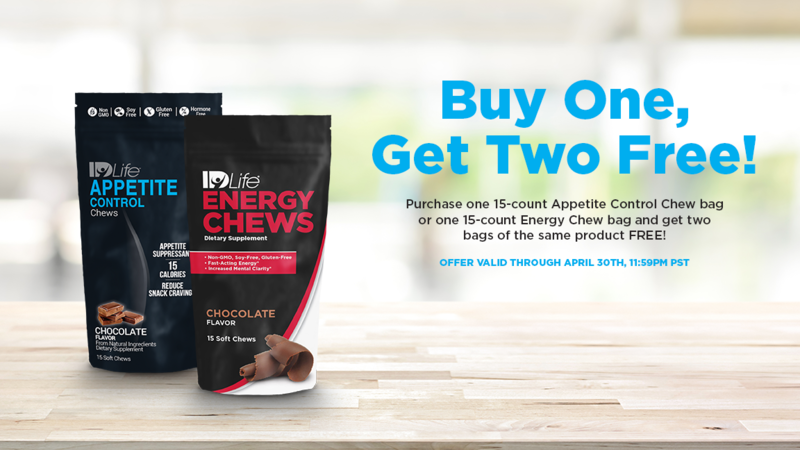 Purchase one 15-count Appetite Control Chew bag or one 15-count Energy Chew bag and get two bags of the same product FREE! Act quick because this offer is only valid through April 30th at 11:59pm PST! CLICK HERE to find out more!